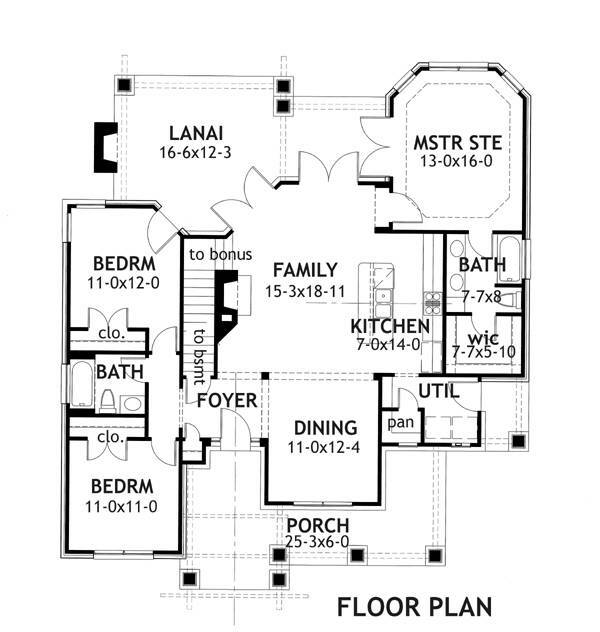 Total Living Area: 1421 Sq. 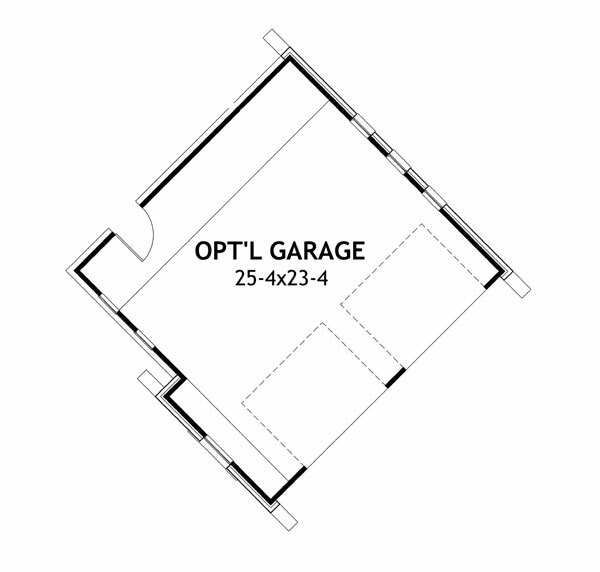 Ft.
First Floor: 1421 Sq. Ft.
Lower Floor: 988 Sq. Ft.
Width: 46 Ft. 11 In. Depth: 53 Ft.
Main Level: 1421 Sq. 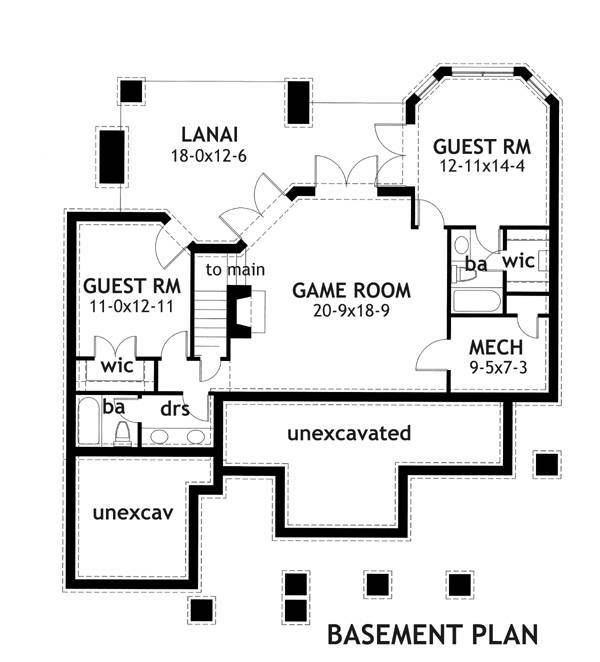 Ft.
Lower Level: 988 Sq. Ft. 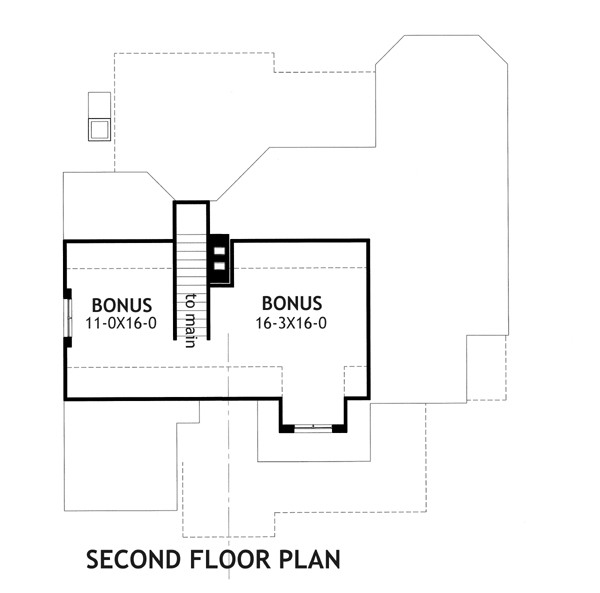 Bonus Room: 504 Sq. Ft. 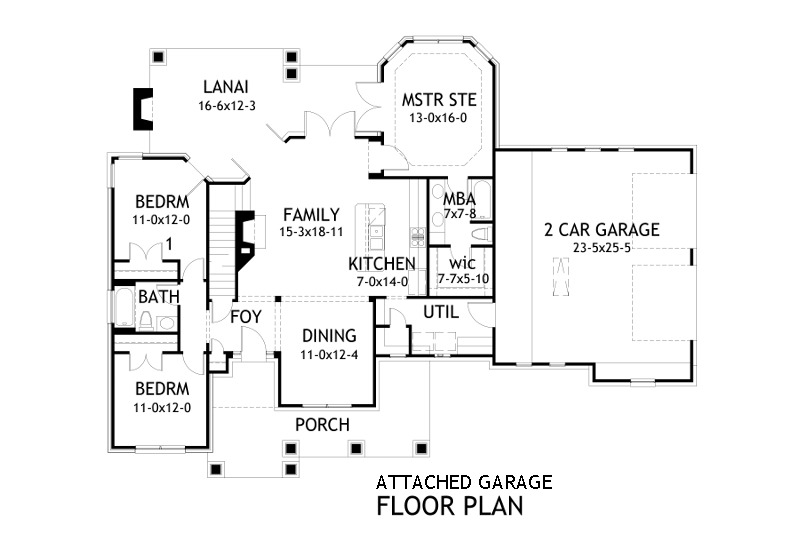 Maximum House Height: 25' 9"
House plans with only 1,421 square feet don't normally showcase this many features! 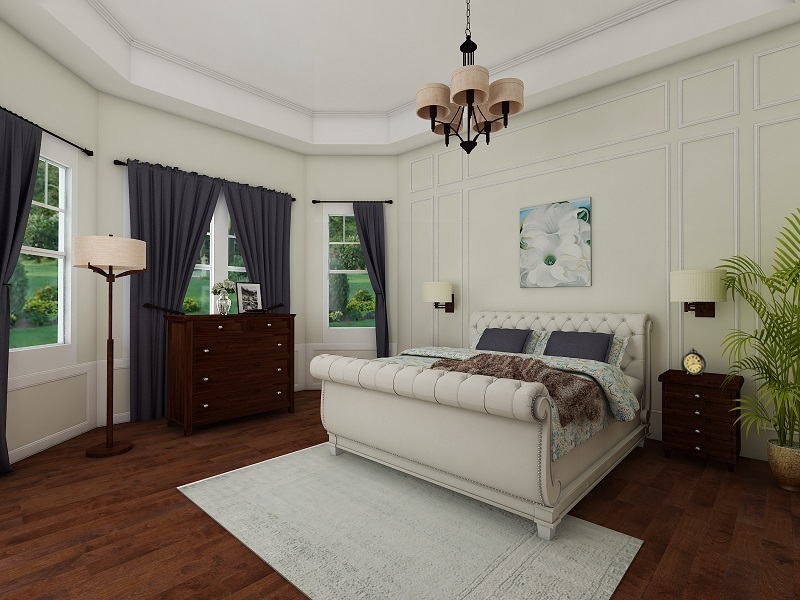 Part of this homes popularity may be due to the fairytale front porch, which embraces the formal dining room. 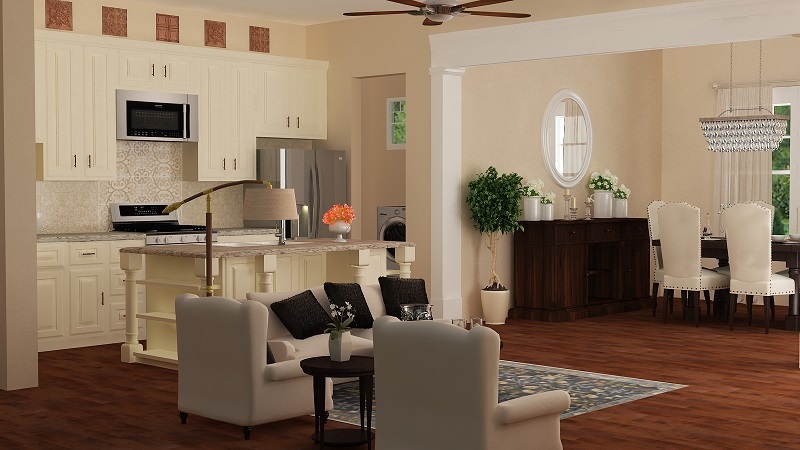 The island kitchen seems to introduce the spacious family room, where a fireplace is the center of attention. Out back, French doors give way to a lovely lanai with a second fireplace. The deluxe master suite also offers lanai access. Upstairs, a good-sized bonus area can become whatever you decide. How about an art studio?